How do I set up an email journey? Click Email Journeys in the left sidebar > + New Email Journey. If you connect Shopify, you'll see a list of default journeys you can customize. 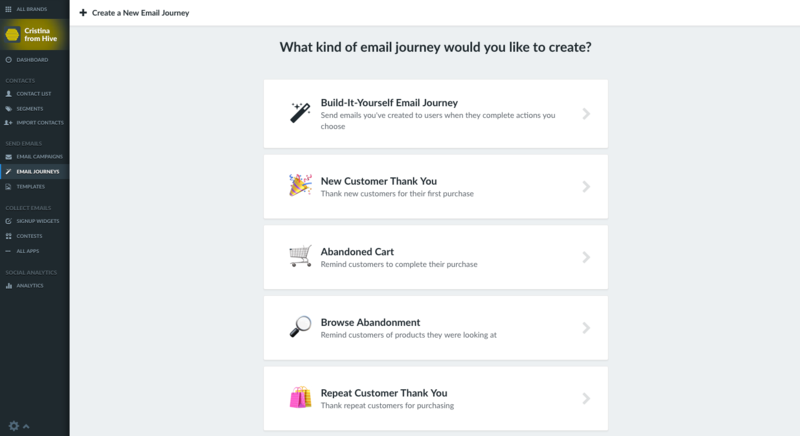 You can also create a Build-It-Yourself Email Journey from scratch.